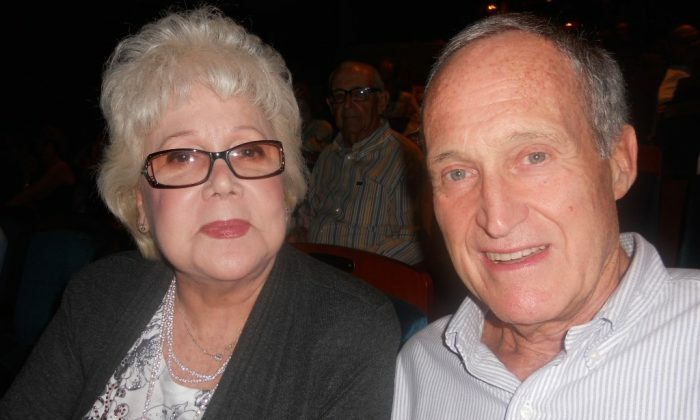 FORT LAUDERDALE, Fla.—While in Florida for Christmas, Victor and Lillian Riesterer saw Shen Yun at the Broward Center for the Performing Arts on Dec. 28. “It’s a discovery because we don’t know very much about Chinese culture, unfortunately,” said Mr. Riesterer, who owns a real estate company that operates in Europe and Venezuela. “This is a discovery where we learn many things about [China’s] traditions, which are very, very long, so it’s very fulfilling,” he said. Shen Yun Performing Arts aims to breathe new life into China’s five millennia of civilization. The company uses dance to tell stories from dynasties past as well as contemporary times. Shen Yun performs classical and ethnic Chinese dance. An orchestra accompanies the dancers. The Western orchestra incorporates Chinese instruments such as the pipa, erhu, suona, and gong. Shen Yun uses parables and myths to bring to life traditional Chinese beliefs and values. Stories like that of Mulan, the young woman whose filial piety moves her to go to battle in her father’s stead, have been told through dance in years past. Mrs. Riesterer shared her observations about this year’s dance-based stories, which include The Fable of the Magic Brush, Capturing Arrows With Boats of Straw, and The Power of Compassion. “Compassion is very important, and it should be more in our genes and in our culture. I think it is absolutely necessary—compassion,” she said. Shen Performing Arts New York Company performs in Sarasota on Dec. 29. The company will perform in Gainesville, Fla., Dec. 30, and in Jacksonville, Fla., Jan. 24–25. Shen Yun will return to Florida in the spring with performances in Orlando, Fort Myers, St. Petersburg, Miami, and West Palm Beach.